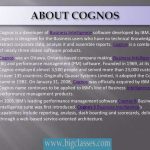 ‘Cognos’ came from the Latin word “cognosco”. Meaning of “cognosco” is ‘knowledge gained from your personal experience’. 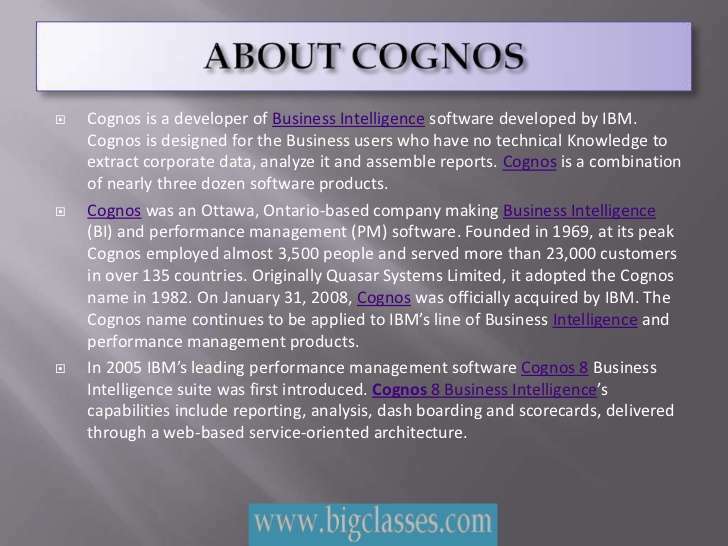 Cognos software helps any company to become to performing company in terms of analytics. It helps in business intelligence. It helps a company to take any financial & management strategy faster.It helps in planning, scenario modeling, real-time monitoring and predictive analytics. If you want to join any online course you can at BigClasses. 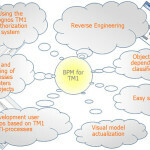 We are providing unique training, course material for the course. Our trainers are extremely qualified and all are industry experienced. We are providing support for 24X7. Fundamentals of Data Warehousing, Installation & Configuration of Cognos , Query Studio, Analysis Studio, Cognos Report Studio, Framework Manager, Case Study in Financial Reporting.